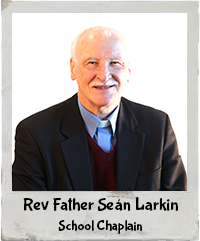 Our Chaplain is the Very Rev Father Sean Larkin PP. Father Larkin plays a very active role in the life of the school. He regularly visits all classes, however, he takes a particular interest in P4 and P7. The Primary Four pupils are prepared for the Sacraments of Penance (First Confession) and Eucharist (First Holy Communion). This is a very special part of what we do in St Peter’s. The parents are involved and the P4 staff along with Fr Larkin work hard to ensure the receipt of the sacraments is meaningful and memorable. A more recent innovation has been the introduction of Eucharistic Adoration for the P4 class. This is led by volunteers from within the parish and has added a spiritual dimension to the P4 year. The Primary Seven pupils receive the Sacrament of Confirmation, a significant step in the life of every Catholic. It marks the transition from childhood and Fr Larkin works closely with the P7 staff in preparing the children. 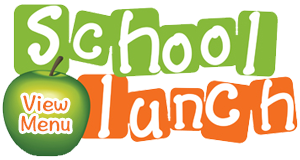 Part of this preparation is an annual retreat for the P7’s in all three primary schools, which is generously financed by the parish. Central to the life of St Peter’s is our Friday morning mass when the older classes take it in turns to lead us in a themed liturgy. It is lovely to witness confident, young people reading and praying from the sanctuary and indeed the parents who attend to support their children. All of this is the working out of the physical link, an adjoining gate between the school and the Church of the Good Shepherd, Cloughreagh.